As an established introvert, I'm usually a bit of a hermit, happy to be surrounded by my favorite things in the comfort of my home. I tend to avoid most places with noise or crowds. There are just a few events in the Seattle area that I look forward to regularly and the one that tops the list is Urban Craft Uprising! 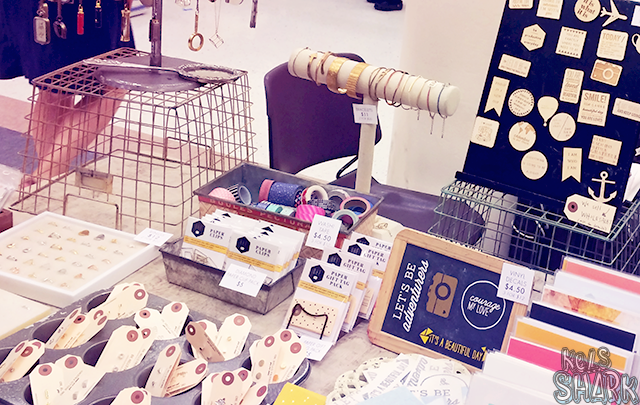 Having been to quite a few craft fairs and events, I can tell you that UCU is absolutely the best and most well-organized show of the bunch. It's a large, carefully-curated event, attracting a multitude of talented artists and a large enough crowd of attendees to support them effectively. There is always quite a bit of variety in the mix of products sold by UCU vendors. And while I'm happy to see a lot of my favorite vendors return for shows, it's nice to always find fresh faces as well. 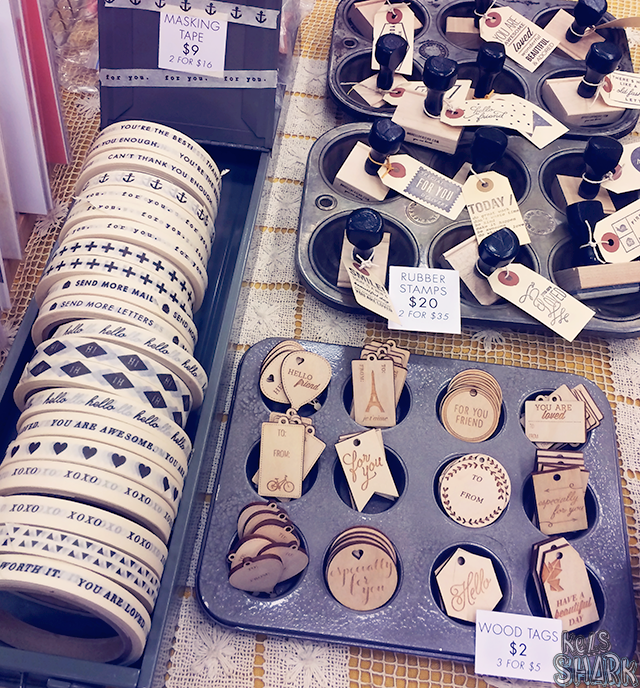 After all, one of the best things about craft fairs is discovering awesome shops! 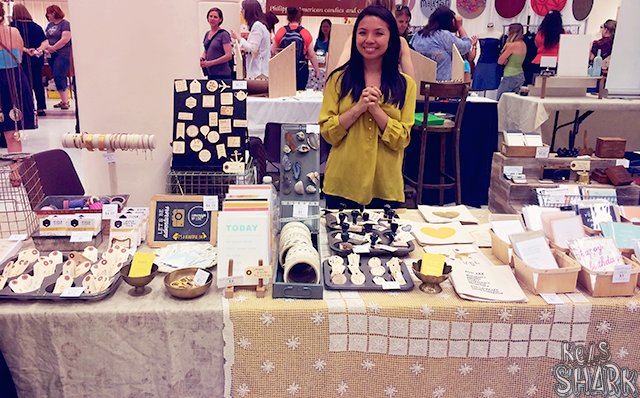 In the past (on my old blog), I've shared more comprehensive posts of vendors from the Summer 2012 UCU and Spring 2012 Unique LA shows. This time around, we only had three hours to see everything, so I decided to just spotlight a few favorites. Three hours might sound like a lot, but when you spend twenty minutes at one adorable booth, you find out that it's not! My friend Thamires drove up from Portland just for the fair. She, Tal, and I met up with our friends Hazelmae and Cameron to go check out the awesomeness together! Sadly, I forgot to take a group photo... ergh. Next time! 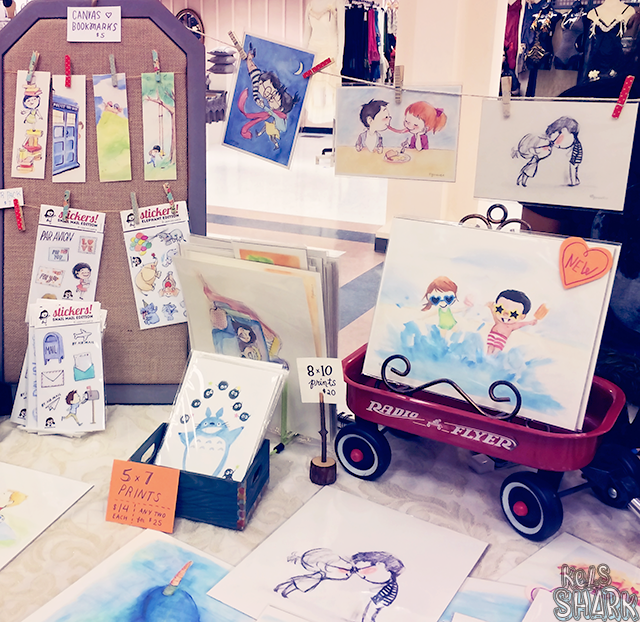 Without further ado, here are my favorite booths from UCU Summer 2014 and (part of) my haul! Monsters are my fave! 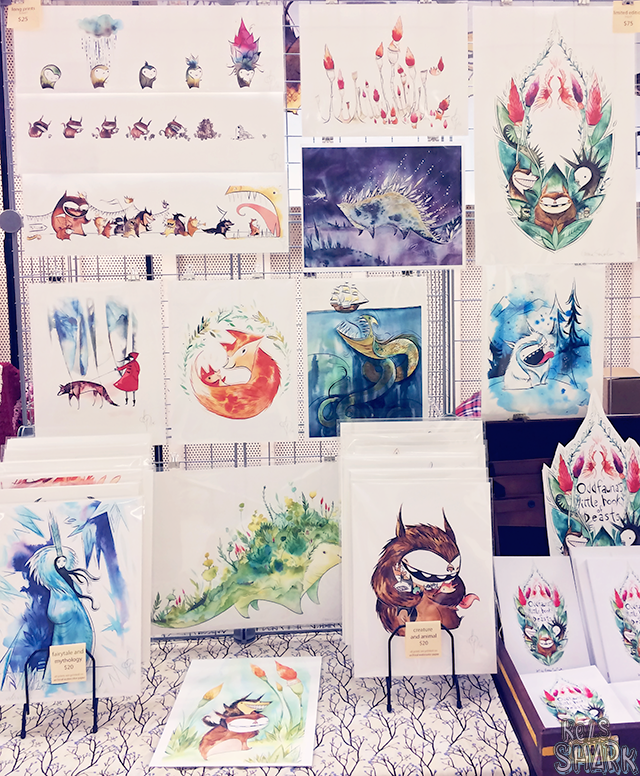 I have a few Odd Fauna prints from a previous show and I was delighted to find more monsters at this show! 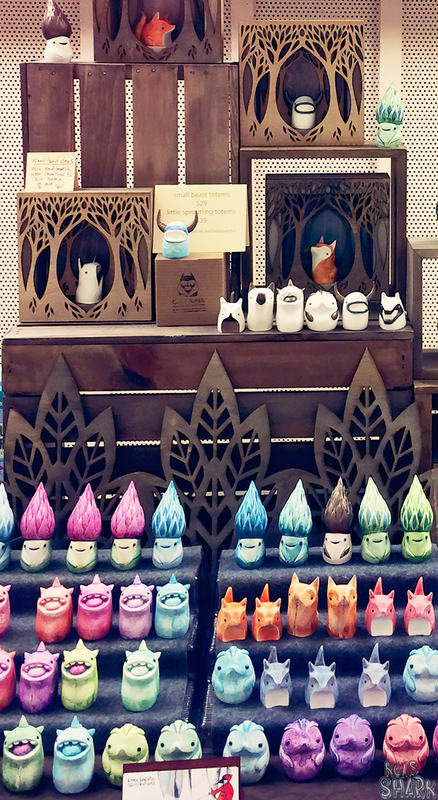 I loved the little animal totems. I wanted to bring home all of them, but Tal and I exercised great restraint and each picked just one. Someday, I'd like to get the other totems too... and this print to go with the sproutling. Emma also has a really cool new artbook available (funded through Kickstarter). You can find Odd Fauna online here! When Thamires, Carolyn and I went to UCU two years ago, Thamires fell in love with Thea Starr's beautiful kanzashi flower hair accessories. 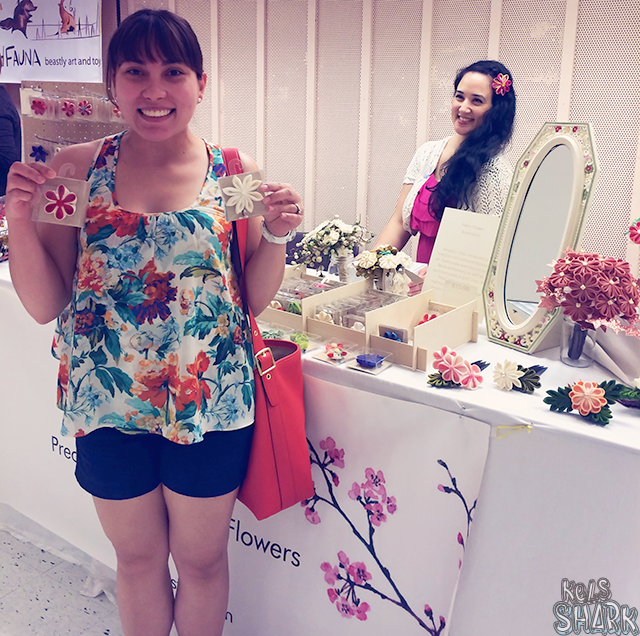 The flowers come in a variety of sizes, colors, and styles (headbands, haircombs, hairpins, etc.)! Thamires bought a headband at the last show and picked up two more flowers this time around! You can find Thea Starr online here! 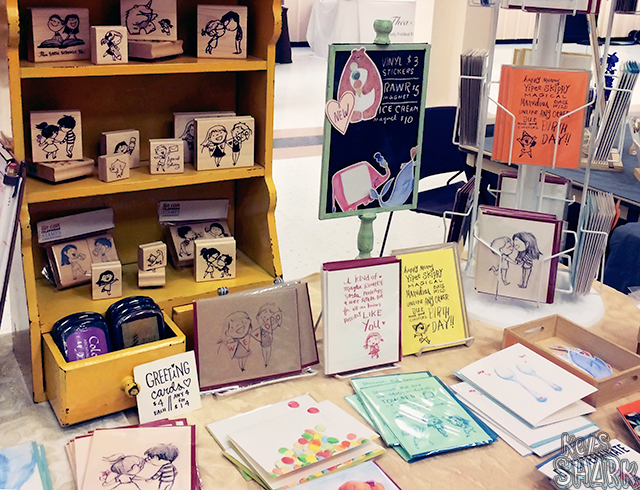 I don't remember seeing Oh, Hello Friend previously, so Danni's booth was a really fun find! Hazelmae, Thamires, and I spent a long time at this super adorable booth - there was a nice variety of products offered, with the common thread that everything was super cute. 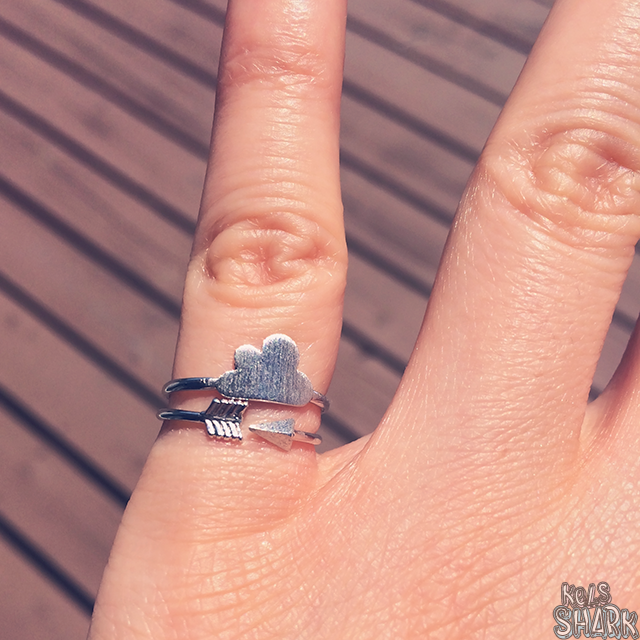 I ended up with two pinky rings! What you see below was a rare moment where no one was standing right in front of the booth (I took that picture lightning fast). Most of the time, the booth was crowded with visitors sorting through and marveling at everything. You can find Oh, Hello Friend online here! I saved my favorite booth for last! 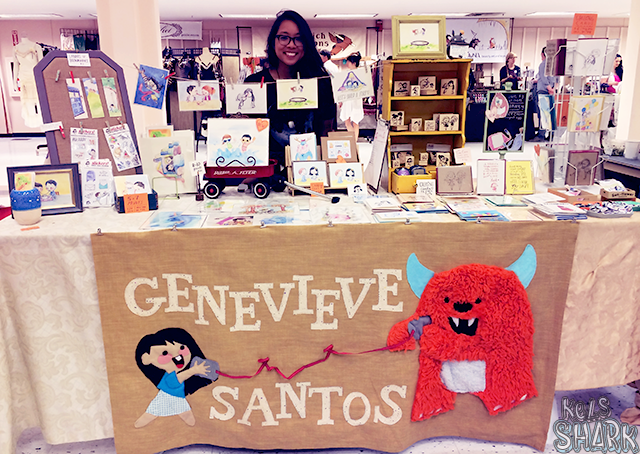 Genevieve is a return vendor with the most adorable art style and cutest ideas ever. 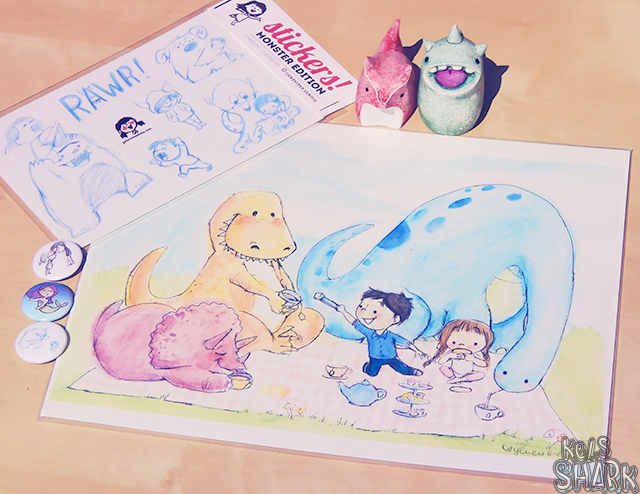 Her drawings and artwork are full of love confessions, awwww moments, and smiling monsters. Us three girls spent forever at her booth, trying to pick just a few goodies to bring home. 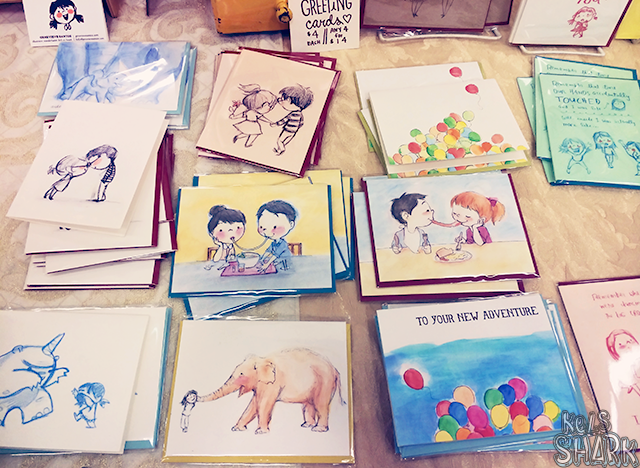 It's near impossible when you basically want your whole house to be covered in Genevieve Santos illustrations! Hazelmae was especially excited to find a pair of prints featuring halo-halo, a colorful Filipino dessert of shaved ice covered in various delicious toppings. You can find Genevieve Santos online here! URBAN CRAFT UPRISING SUMMER 2014 HAUL! The last two were consumed at the fair, so there's no evidence of them anymore. =) Some I plan to include in a future feature, while others I already ate. Bwahahaha. Just trust me when I tell you that pretty much whichever food vendor you buy from at UCU, it's going to be amazing. I am writing this with a mouth full of truffle! We had an awesome time at the show. The only sad thing is that now we have to wait another six months for the winter show! :) If you want to catch future shows, you can sign up for the mailing list on the UCU website to get event notices. So many creatives!!! 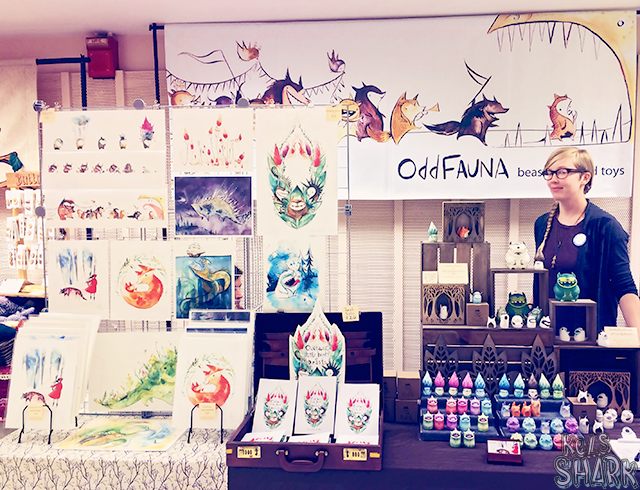 I absolutely love the Monsters by Odd Fauna. So quirky and cute! I KNOW I'm obsessed with the Odd Fauna monsters!! No problem, Hannah! Thanks for visiting! :) They really are all wonderful vendors. 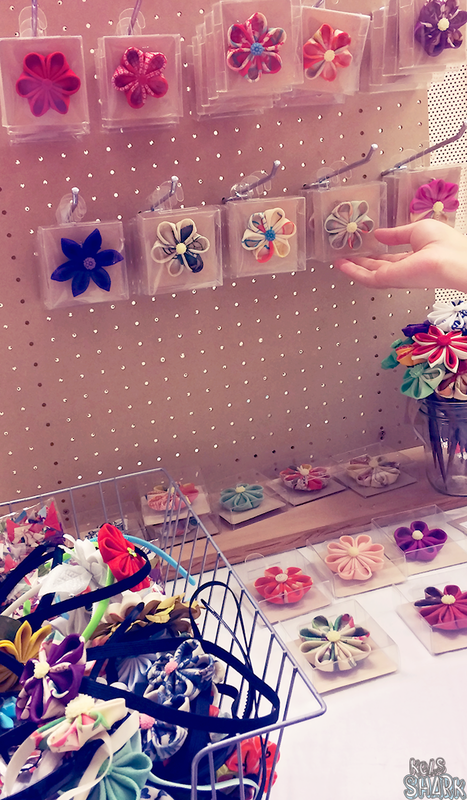 I haven't heard of any major UK craft fairs, but if I read about any, I'll give you a heads up!! This fair looks amazing! Unless I'm in costume, I also tend to avoid large fairs and crowds. I think I'd definitely go to this if it was near me, though! I love discovering fun new shops - and collecting homemade little goodies! Oh, that's really interesting, Kyla! I'm actually more afraid to go places in costume, I think. I've been talking about dressing up for PAX for over a year now, but I'm too afraid to go through with it!